The Waterfall Coffee Table is part the Waterfall Line. The inspiration for the Waterfall line is drawn from the natural form of water falling, either from a waterfall or fountain. The concept behind it was to capture marriage, love, as well as the softness that is represented in the rest of Charles’ work. 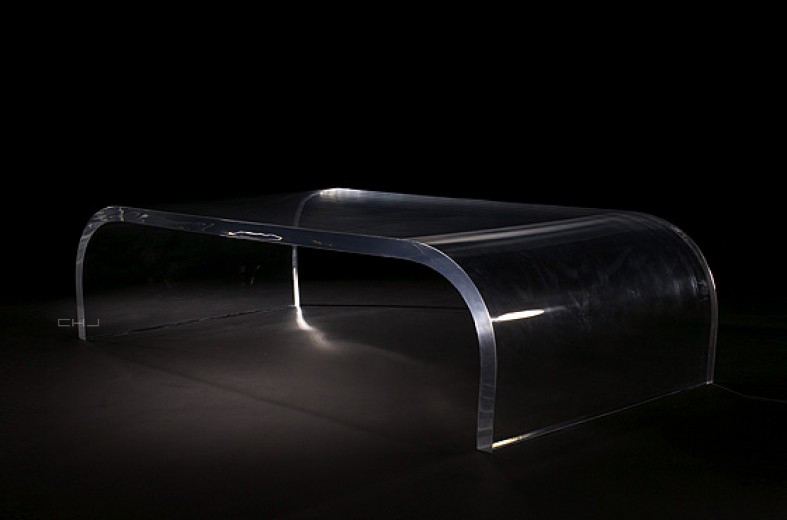 The waterfall coffee table which is stainless steel with lucite edges, draws its form from the way waterfalls can sometimes be silver in the middle with clear on the edges. The entire line is put back in the oven a second time and then cooled, and this is done to remove any stress in the lucite so that it retains its integrity for many years. © 2019 Charles Hollis Jones.